Dr. Mannepalli is well-known to Northeast Georgia Medical Center (NGMC) not only as a specialist in infectious disease, but also as the medical director for infectious diseases and the Chair for the Infection Prevention and Control Committee. Dr. Mannepalli attended Kasturba Medical College in Mangalore, India. 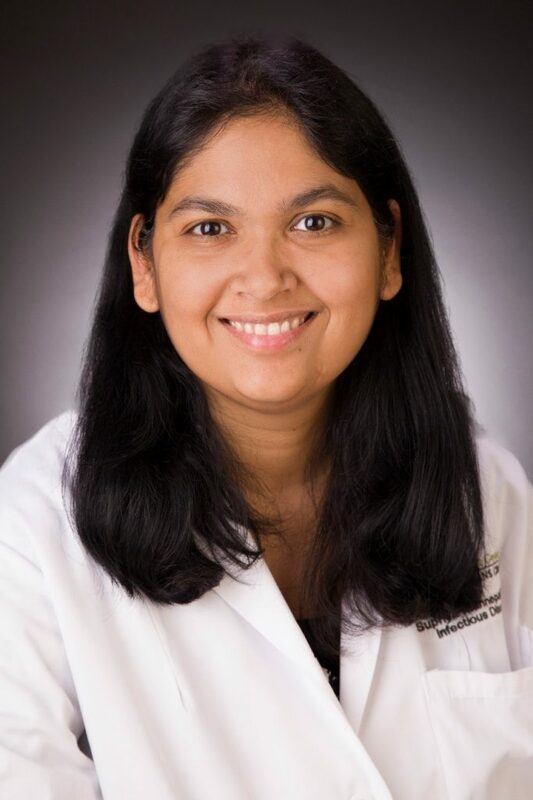 She completed her Internal Medicine Residency at University of Tennessee College of Medicine in 2007 and her fellowship in infectious disease at the University of Florida in 2009. Dr. Mannepalli has been a part of NGMC since 2013 and has played a phenomenal part in upholding Northeast Georgia Health System (NGHS) in safety, quality and stewardship. She is an integral part of NGHS especially relating to infection control. Her oral CME presentations at our facilities serve to educate our staff and employees to improve safety for our patients, starting with infection control. With such vast experience and dedication to NGHS, Dr. Mannepalli is a strong addition to the core faculty for the Internal Medicine Residency at NGMC. Her passion and tenacity make her an invaluable role model for our residents.